Human Beings and frogs are the two creatures in nature who have tremendous power to adjust. Put a frog in a vessel of water and start heating the water. As the temperature of the water rises, the frog is able to adjust its body temperature accordingly. The frog keeps on adjusting with increase in temperature. Just when the water is about to reach boiling point, the frog is not able to adjust anymore. At that point the frog decides to jump out. The frog tries to jump but is unable to do so, because it lost all its strength in adjusting with the water temperature. Very soon the frog dies. What killed the frog? Many of us would say the boiling water. 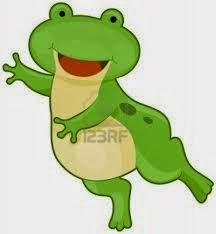 But the truth is what killed the frog was its own inability to decide when it had to jump out. We all need to adjust with people and situations, but we need to be sure when we need to adjust and when we need to face. There are times when we need to face the situation and take the appropriate action. If we allow people to exploit us physically, emotionally or financially, they will continue to do so. We have to decide when to jump. Let us jump while we still have the strength!